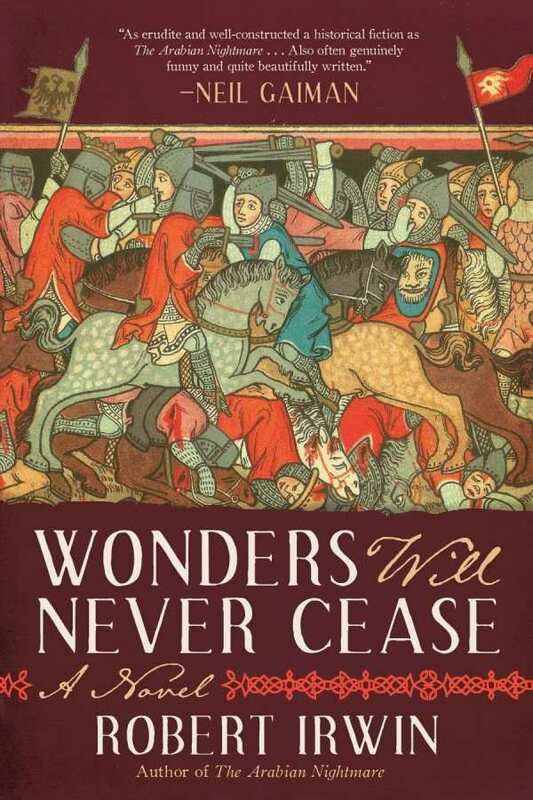 A literary fantasy, Robert Irwin’s Wonders Will Never Cease delves into the War of the Roses and enters a world where “genealogy and heraldry are the only two sciences worth knowing.” Chivalry and political expediency coexist with dreams and visions, and the struggle for life is a battle waged waking or sleeping. As one young knight soon discovers, in this historic game of thrones, fortunes are made and lost on a person’s ability to survive his own legend. Yorkist Anthony Woodville, Lord Scales, emerges from the Palm Sunday Battle of Towton as a latter-day Lazarus. Presumed dead for three days, he wakes in a dank church, having narrowly escaped burial alive due to the frozen ground. Thus, he discovers a Lancastrian on the throne and the Yorkist claim lost. Survival means affiliation with the Lancastrians, and naive, brawny Anthony is soon in over his head as battlefields are traded for banquets and blades exchanged for backroom deals. Irwin knows, “Most of our history is invented and it is better that way. History is nothing but the lies we tell about our ancestors.” Using historical facts and figures, Wonders Will Never Cease captures English medieval life like never before in a narrative of harsh consequences, religious ritual, oral tradition, and dream logic both alien and familiar.